Drop shipping is the process of purchasing goods from a third party – usually a wholesaler or manufacturer – and then having these goods shipped directly to the customer. Drop shopping is a popular fulfillment model used by retail businesses. Essentially, drop shipping enables you to create your own retail brand without having to hold any stock or inventory. It also means that you avoid having to navigate the usual retail distribution channels as you will never see or handle products or goods to fulfill orders. 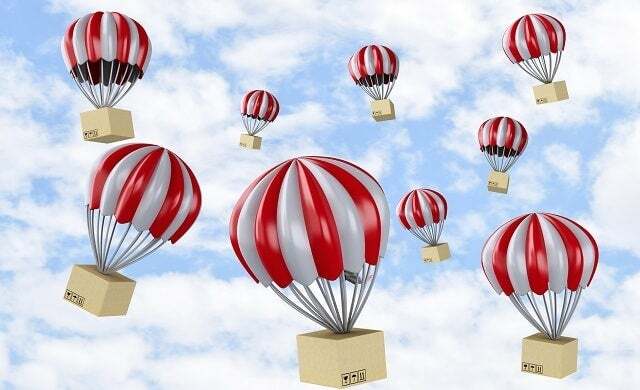 Using the drop shipping model, you can quickly start a business without having to invest money in inventory or stock – costs that often act as a bottleneck for retail start-ups looking to achieve fast-growth. In fact, the start-up costs for running a drop shipping business are minimal as you only have to purchase a product to be drop shipped once the sale has been made, and the customer has paid for the item. Starting a drop shipping business means that you avoid managing a retail warehouse, managing stock and inventory levels, packing orders and so on, therefore you won’t encounter the overheads and expenses that a traditional retail business must deal with. Wondering how to make money from home? You could quite easily start a drop shopping business idea from home as a one-man, or one-woman, band with a laptop, internet connection and a phone. For more advice on starting a home-based business, click here. Provided you can readily communicate with suppliers and customers, that’s all need you to get started using the drop shipping model. With drop shipping, the world of retail is, quite literally, your oyster. You don’t have to pre-purchase items so all you need to think about when deciding what to sell online – once you’ve researched whether you think you can sell that product well – is whether your suppliers stock an item: if they do, you can promote this item to your customers. If you have a good relationship with your drop shipping suppliers then – if you want to scale and make more money from your business – you can get your suppliers to manage most of the work required in processing those extra orders. Obviously, more orders mean more customer sales which therefore requires you to deal with, and communicate with, more customers so there will still be more work required from you. However, the business responsibilities are far less, and require you to operate on a much smaller scale, than a traditional retailer is required to. Running a drop shipping business means that you never see or handle the goods that you retail, yet your customers won’t necessarily know or care about this. If they buy an item from you they will expect the item to be delivered on time, as advertised etc., from you – and not the supplier. If there is an issue with an order and your drop shipping supplier(s) makes a mistake, for instance there is a problem with the item delivery, there are missing items, or perhaps low-quality packing has damaged the item, you will be held at fault by the customer and will have to accept responsibility. You may be able to avoid these errors by only working with reputable and high-quality drop shopping suppliers, but this will come at a cost. Most businesses that use drop shipping will source their goods through a variety drop shipping suppliers. This can create complexities with shipping charges. For example, you are likely to incur several different shipping charges if a customer buys four products that all come from different suppliers and all have separate shipping charges. You will need to swallow these charges – at a cost to your business – as you could easily deter customers if you were to pass on the shipping charges to them. Drop shipping is competitive and, with many retailers operating in this industry, you’ll need to set your prices at a level that will attract customers to shop with your business and not a competitor. As it requires such little time and money to start a drop shipping business, it’s easy to operate on low profit margins but this does leave you with limited options if you really want to create a long-term, sustainable retail company. For ideas on what products or goods your drop shipping business should stock, view our guide to the best business ideas for 2017 here (hygge items and pollution products could offer great returns for instance!). And to ensure your products are what customers are looking for, you will need to carry out market research. View our guides to conducting market research and understanding customers here. Weighed up the benefits and disadvantages and want to start a drop shipping business? Now read our guides on choosing suppliers.